I got back to my paints and brushes. 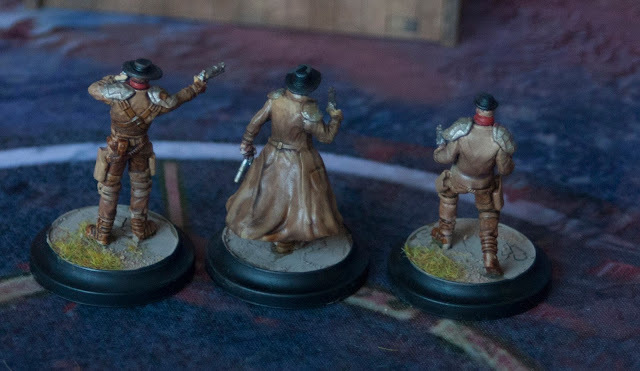 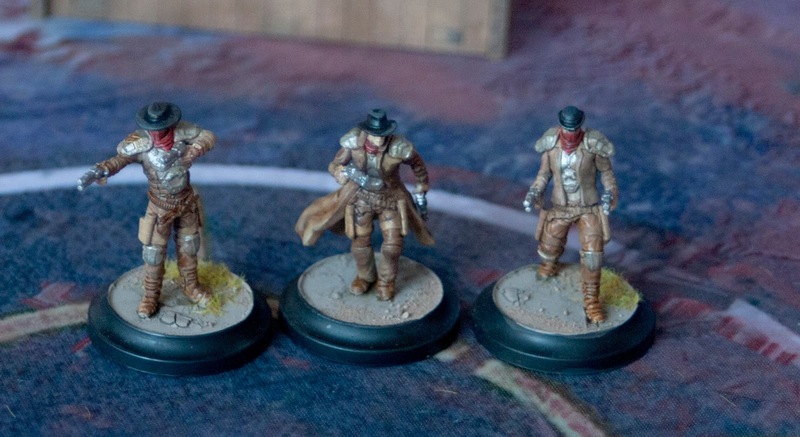 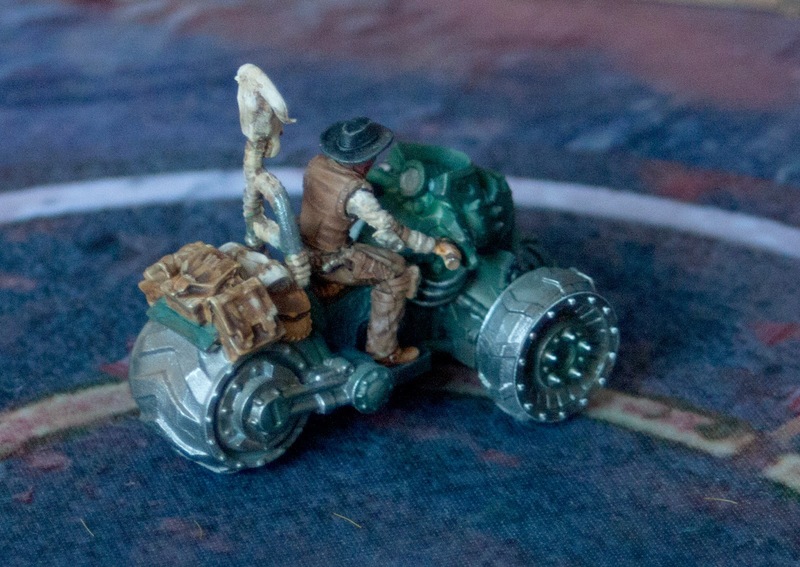 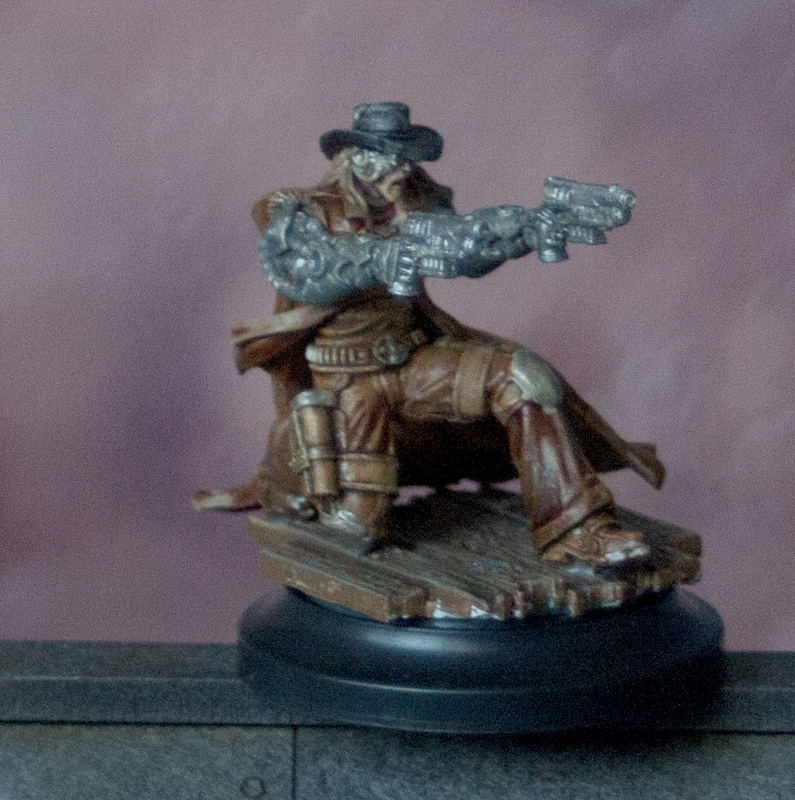 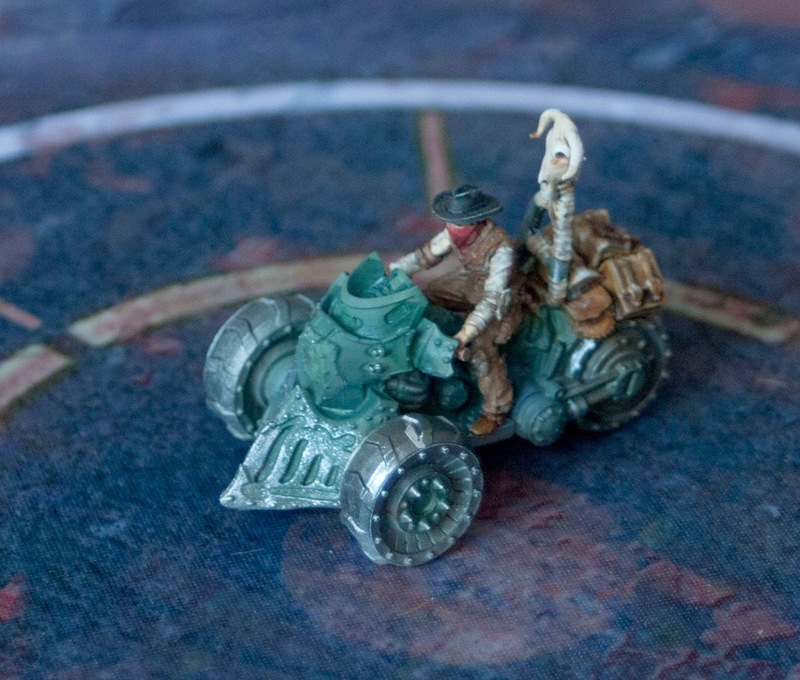 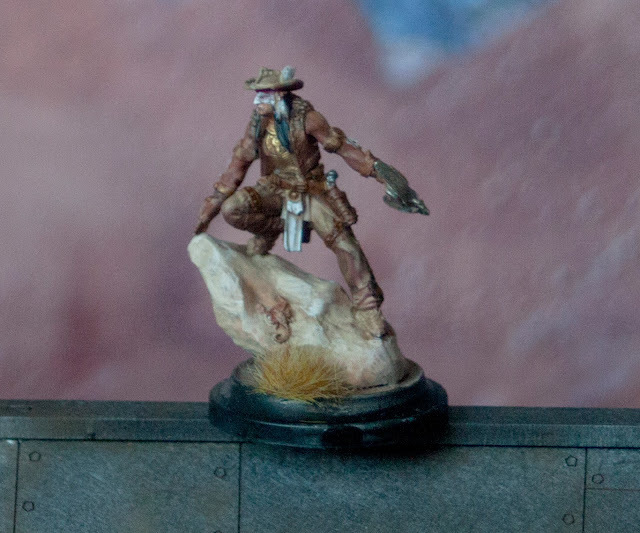 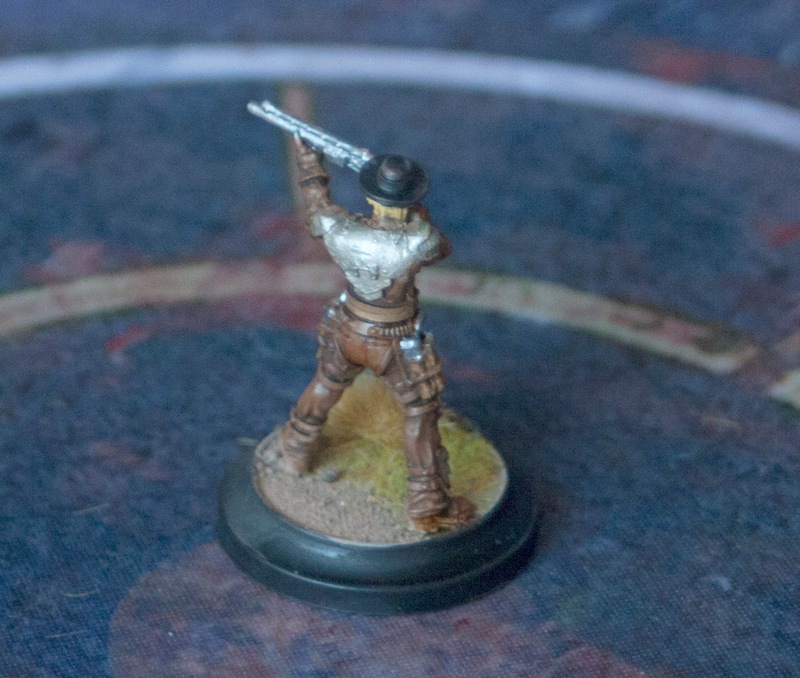 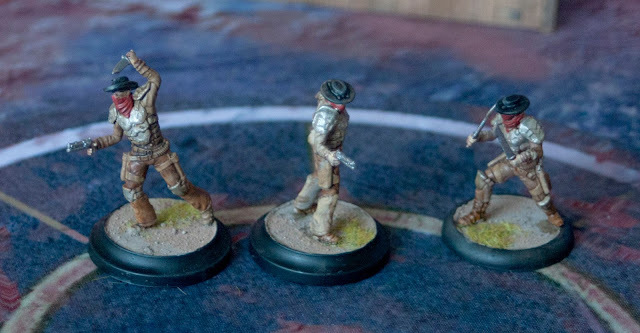 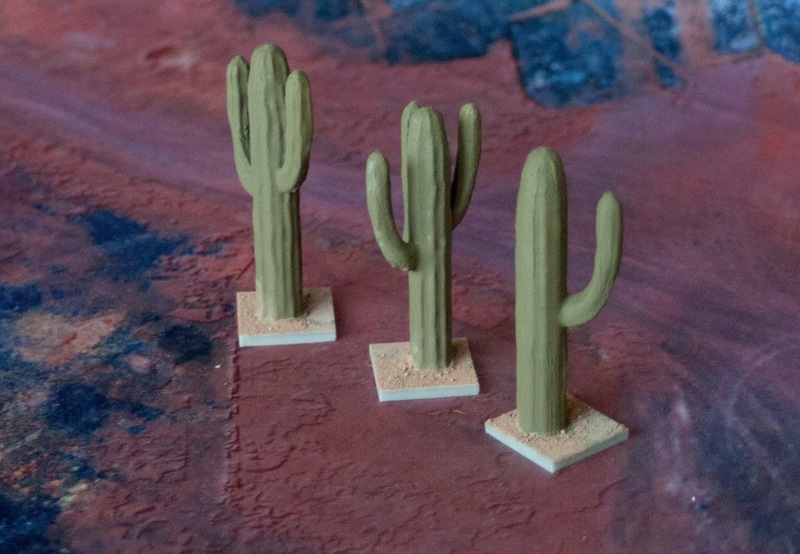 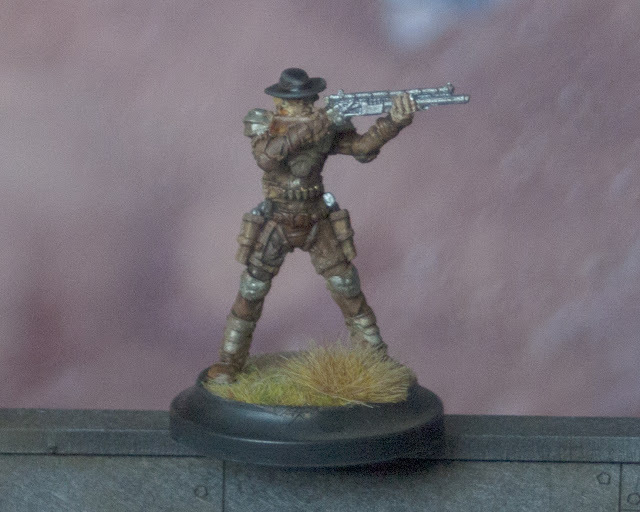 In preparation for the first game of second edition Wild West Exodus whole Jesse James posse received a splash of paint. It was a quick paint job so they would be ready for game, but they look decent. 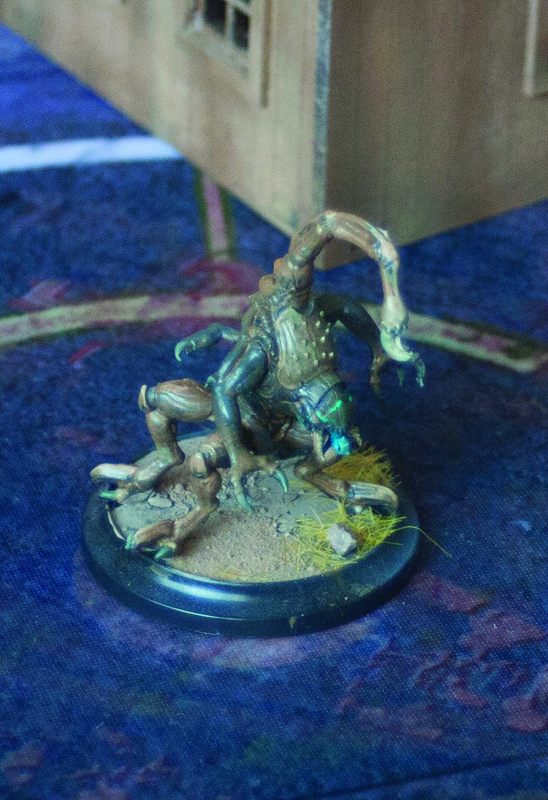 I did not manage to finish all of Watchers for the game, but umber scarab received some paint. 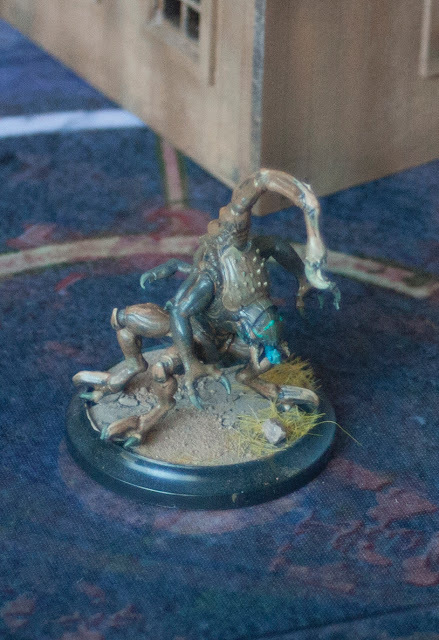 Scarab was painted same as the rest of Watchers - form gloss black base with gray zenithal highlights I added more brown highlights on limbs than on body. Few greenish washes were added to front "armor" plate and head, and whole miniature was painted with mid brown wash with gloss medium. 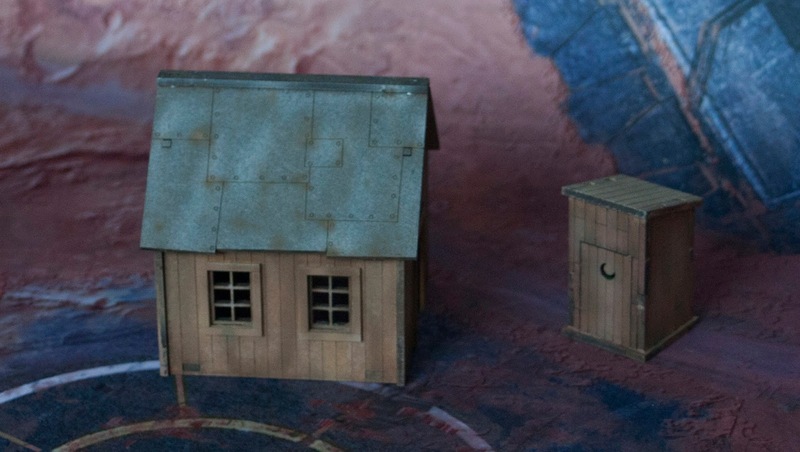 Scenery needed for game, son and I assembled year or two ago. Now we painted them all. 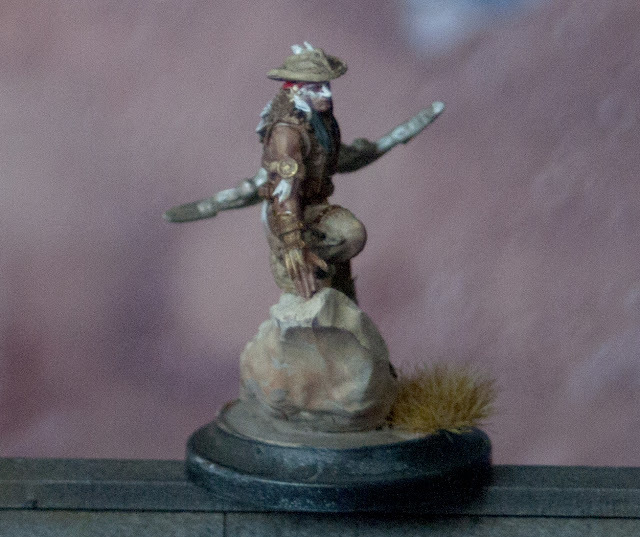 Most of them are from first WWX kickstarter. 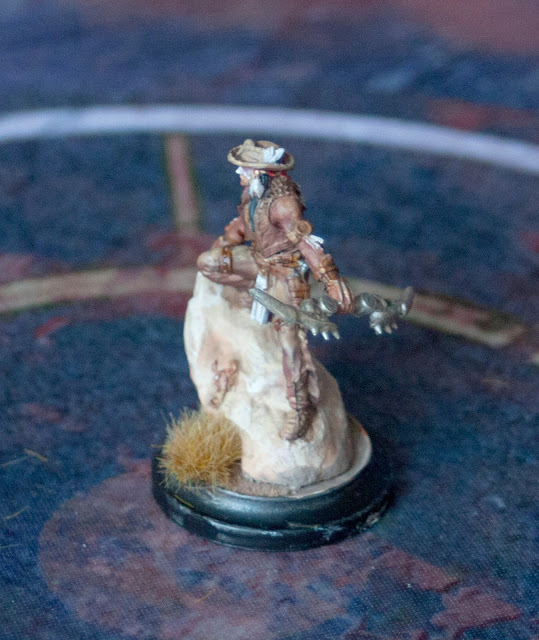 My son put the acrylic base for wood, with little brown tint in it, first then brown lint with little water. 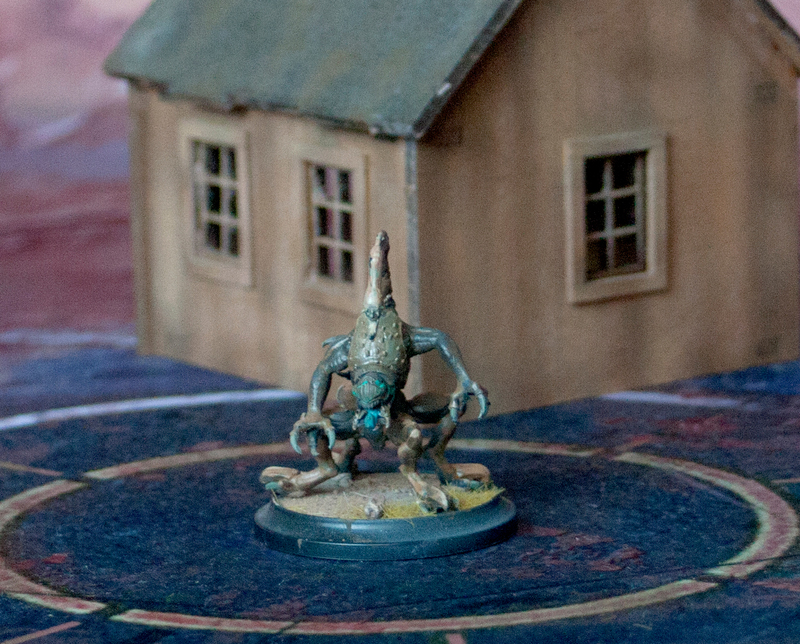 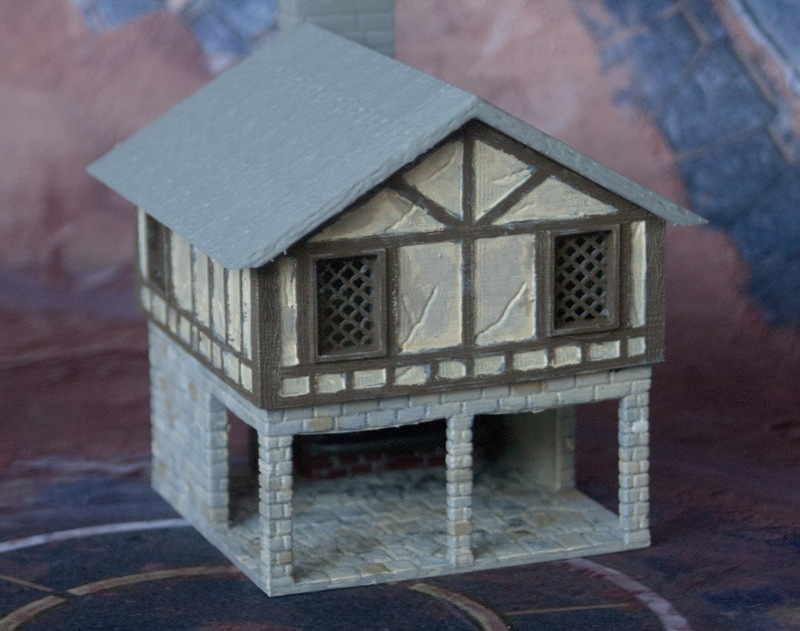 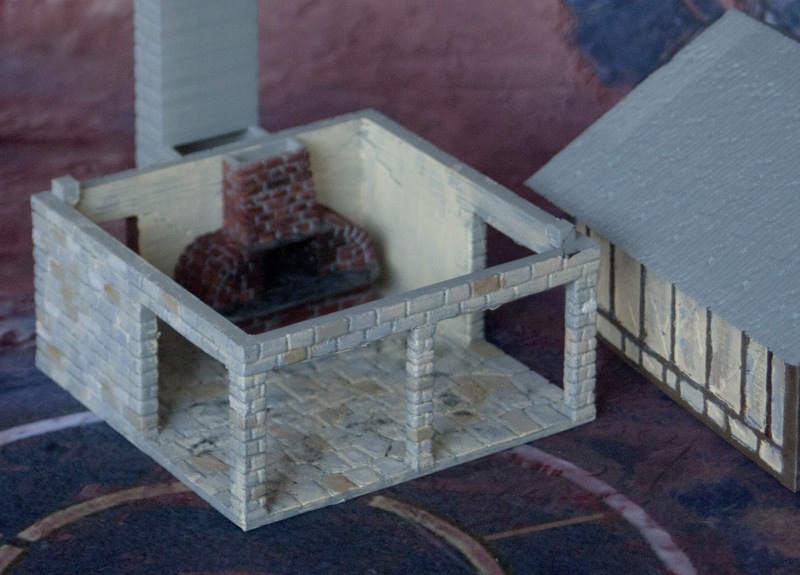 Then houses come to my hands and I added few shades of brown with airbrush. 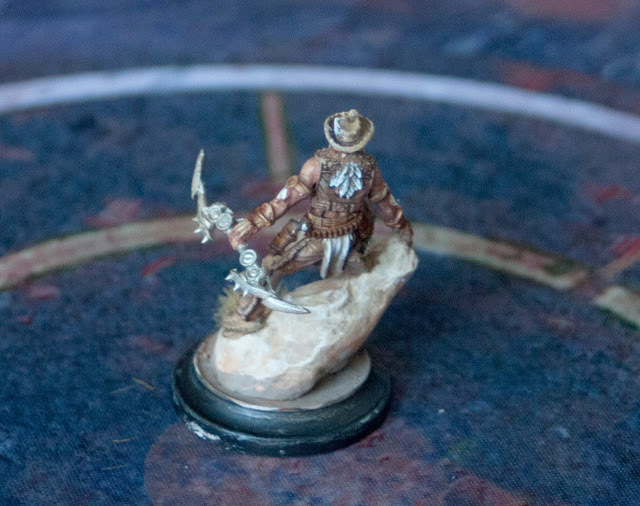 I started to paint forge I printed a week ago. 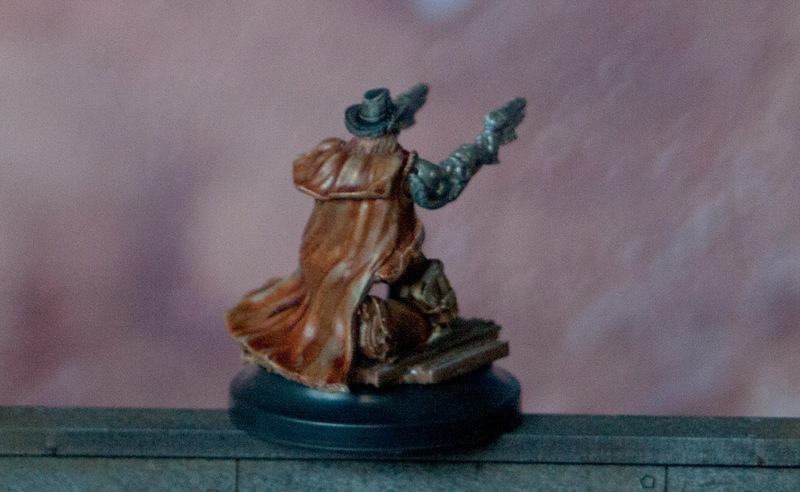 Internet says that prints could be painted without base coat. I used common craft acrylic. 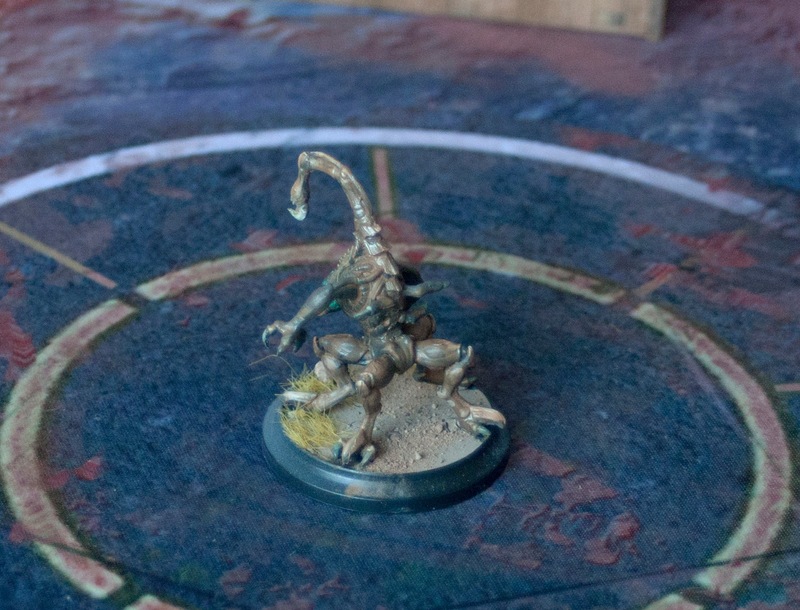 There are few more miniatures from Essen on assembly line, and some Warmarchine Cygnar models start to get paint on them.